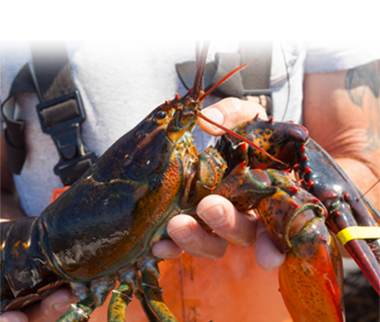 The Maine Fair Trade plant aspires to become the largest live lobster processor in Maine. 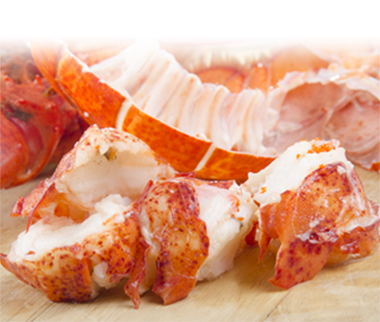 In 2015, after just three seasons, Maine Fair Trade reached its aggressive goal of handling more than 8 million pounds of lobster. With 130 to 150 employees, it is our belief that increased Maine production improves the economic position of employees and their families and has a positive impact on local communities and businesses. The company is proud to be a part of Prospect Harbor and long term future of Maine. Maine Fair Trade is thankful to have been awarded Coastal Enterprises, Inc.’s Sustaining Communities Award in 2014 and we appreciate CEI’s continued assistance and support. The plant’s production employees are paid above Maine’s minimum wage with overtime on this base rate (when applicable). As an added incentive and to show our appreciation, in the past, it has been the plant’s practice to increase base wages for returning employees annually. All full time employees are eligible for benefits after 90 days including health, dental, paid holidays and paid time off. Moreover, the company is proud to offer employees the opportunity to participate in its 401K plan with a designated corporate match. We believe these initiatives could be a strong driver for further rural employment opportunities and a strong community partnership. We appreciate our workers efforts and hope to continue a practice of offering employees a chance to accrue meaningful and sustainable employment. It is important to explore novel arrangements that will create additional value for employees and the company. In this vain, Maine Fair Trade started a pilot piece work program that provides committed workers an opportunity to make additional compensation. Located in rural Prospect Harbor, transportation has been organized from Ellsworth/Hancock County and Washington County to simplify the commute of some workers. Transportation is being provided by Washington Hancock Community Agency (WHCA) Transportation’s Sun Rides program under a renewable matching federal grant. Through this non-profit, workers pay a discounted rate. We have assembled a team of individuals to update Maine Fair Trade’s safety programs. It is a work in progress but, through their efforts, we hope to make Maine Fair Trade a model for the lobster processing industry. In 2015, Maine Fair Trade passed its second annual Safety Works audit. Safety Works commended the plant on the many improvements to its program. Maine Fair Trade is proud to have partnered with Maine’s Rural Development program in an effort to provide more affordable, accessible housing. In December 2015, the company received Planning Board approval to house up to 24 employees in mobile homes near the site.